Sony launches world's first under water store called Aquatech store ! When it comes to #classic and the best retail store builds,Apple comes in mind due their amazing infrastructure and well implementation of glass around the whole store making it look more rich,more natural and this stays for all of their stores around the globe, quality is what exutes through their stores!.No doubt they are simply the best at it! 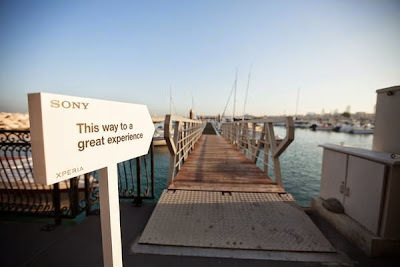 Sony claims to redefine their stores creating more liveliness making their new store under water,yes you read it right !,Sony recently launched its aquatech store under water hereby marketing their waterproof products.The xperia aquatech store is a concept store located 4m below the sea in dubai and at the moment is available only to winners,VIP's and media! 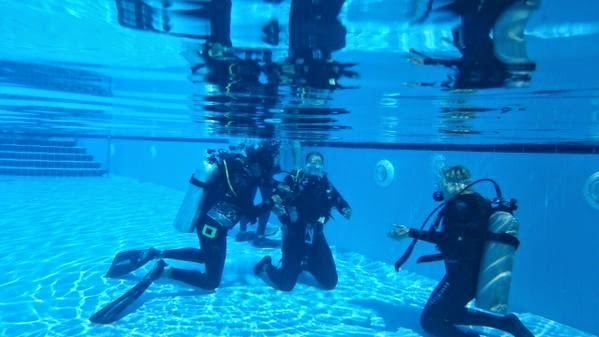 If you are one of those above you gotta know swimming, scuba diving first, Sony also gives a practice session before going to actual aquatech store! And if you are an owner of Sony xperia Z3 or Z3 compact,you might be touting that you can go straight ahead down with it but sorry to say nope you can't go as z3/z3 compact are waterproof upto 1.5m. So Sony ensures that a special case is on your xperia smartphone in particular to protect your device. Actually its just a gimmick or say marketing stunt! to show that how well Sony smartphones work better underwater , but with a case though! fun fact :- take a bowl in your home,put it upside down in your bathing tub with some water,make some holes in between of the bowl, fit in glass where you made those holes and remove some of the water and basically that my friends is aquatech store,why to use smartphones beneath water when you can do it outside? ! Hey am just saying it #fun#fact. So is it worth it ? hey some new things are always a welcome right?,even though its a version 1.0,waiting to see 2nd version of aquatech store ! not so Impressed with the current one. what are your thoughts ? share in comments below..
read about what does these @,#,* symbols actually mean in our fast pacing life!